Vladimir Putin Has a HumVee? Captain Cartoon just illustrated an Internet feature claiming Russian Prime Minister Vladimir “Bad Vlad” Putin grabbed one of those four U.S. Humvees Russian troops stole during their invasion of Georgia — and is tooling around Moscow, thinking he’s Arnold Schwarzenegger. To see the story, just click the cartoon. 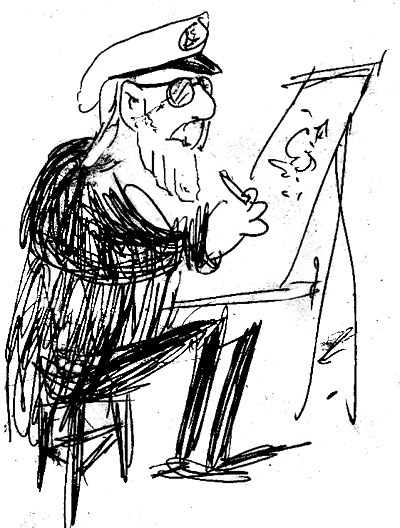 South Florida caricaturist Captain Cartoon — himself a former newspaper ad designer — recently posted relevant drawings for free use on his website. “These were stacking up, as I thought someone could benefit from them,” said the captain. “Clip art” — pre-packaged imagery — is utilized extensively in newspapers, magazines, newsletters and websites. You can see samples here. 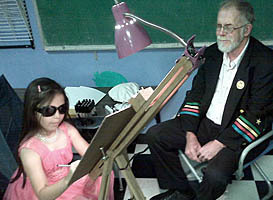 Kids Turn Tables on Caricature Artist — and Draw Him! 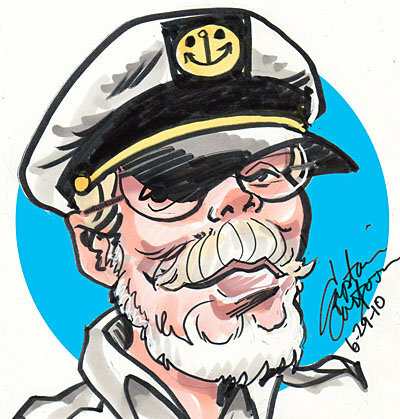 Sea Captain lookalike Captain Cartoon is undoubtedly one of the most “caricatured” caricature artists in the country! Here's the Birthday Girl's artwork. “She didn’t want to tackle the hat, but that’s OK. She has lots of talent,” he said. But it’s not just kids. 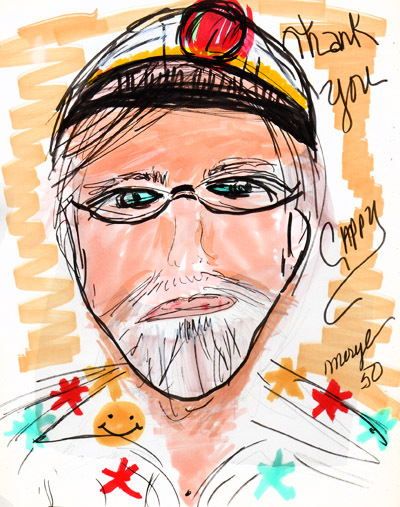 A woman celebrating her 50th birthday commandeered his paper and markers and drew a very colorful caricature of the astonished artist. This past May a 40-something man recently sketched the Captain at a block/birthday party. “It looked like something you’d see in the New Yorker, it was that good” said the Captain. Man made this sketch of the Captain at a block party. 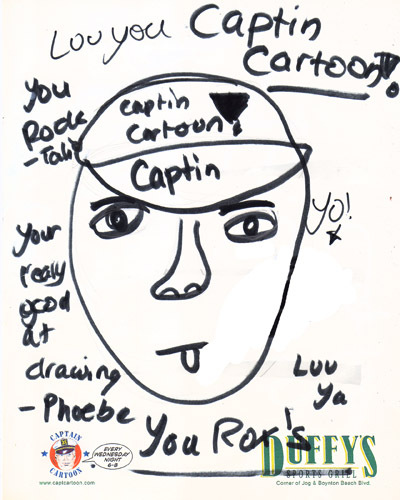 There are lots more kid-drawn sketches of Captain Cartoon on the Captain’s “Kids Fun Zone” section of his official site.